Shorby is a simple bio and analytics tool for social media marketing and outreach. Originally built for optimizing Instagram bios, Shorby can also be used on Facebook, WhatsApp, Reddit, Twitter, and any other social media channels. We examined over 52 Shorby reviews from different sources and in this post, we revealed our results. Shorby is a simple bio and analytics tool for social media marketing and outreach. Originally built for optimizing Instagram bios, Shorby can also be used on Facebook, WhatsApp, Reddit, Twitter and any other social media channels you can think of. Today, almost everyone has a small business account on Instagram. One in two of these Instagram accounts share links daily, and one in three use ads and re-targeting for their business. In practice, Instagram doesn’t want you spamming your bio with links, so it only allows you to add just one link. But with only one link, you have to make the difficult decision of choosing the content you want to promote. It is like picking your favorite child, but harder. Every start-up and small businesses want to instantly connect with customers on Instagram. Many people who use Instagram for business usually complain about the difficulty of a single clickable link that must be updated based on the post that is currently calling it out. Shorby solves this problem with an effective and simple dashboard. Shorby makes this happen by allowing you to add several links at a time to your Instagram profile. Businesses also want to keep customers engaged and happy on Instagram. Shorby lets you do this with editable headlines, flash deals discounts, and more! 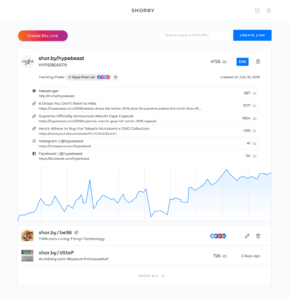 Shorby is a marketing tool that optimizes your Instagram traffic with clickable links, messengers, and social networks. Shorby is giving you a legit way to side-step the one bio link limitation with a link that will take Instagrammers to your custom profile. With Shorby, your profile can contain multiple links. 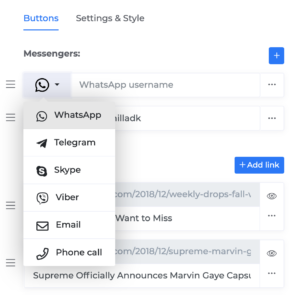 This can be YouTube videos, an online store, your blog, links to your messengers (FB Messenger, Skype, or WhatsApp), and links to your other social networks. Once you’ve decided where you want to send your leads or visitors, you can then adjust button shapes, text, and colors as well as add effects to links you want to highlight. A pretty “My experience in Bali” button is going to get way more traffic than an ordinary “my.blog” link. A beautifully customized profile will let you display, and drive traffic to all of your most important online content. 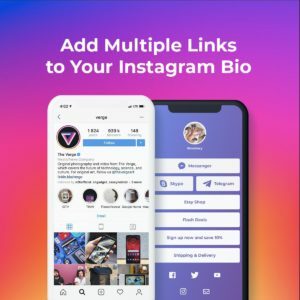 In addition to your Instagram bio, you can use these incredible links for IGTV, Facebook, Pinterest, Twitter, YouTube affiliate links, and Amazon links. There are still millions of Instagrammers and marketers don’t know about SHORBY yet. They all need SHORBY to supercharge their Instagram accounts and collect leads from any shared link. But how? You’ll find out in this analysis of the Shorby reviews online. It is pretty easy to add your links to Shorby. Simply click on + ADD LINK and then you can add a description and a unique URL link. You also have the option of turning links that you want to have active on and off with the slider bar. You can actually schedule them with the clock icon to appear and disappear at the times you choose. You can also check how many times your link has been clicked on and delete links you no longer want to use. Shorby gives you the option of branding your page with different color choices which is an added bonus. 1) Add a tracker ID of your ad networks like Facebook or Adwords (just once) and, then, shorten the links using shor.by as usual. 2) Share links on your social networks and watch real-time analytics on the Shorby dashboard. 3) Log into your preferred Facebook or Adwords account, specify an audience for re-targeting, these are the people who clicked on your short link, and run a profitable re-targeting campaign. How to stop losing clicks on your social media Instagram bio. A boosted bio link and profile seems good enough but not for Shorby. As a marketer, you’re probably sharing links on a regular basis on your different social media pages. Wouldn’t it be great to re-target the people that click on these links? Shorby lets you re-target anyone who clicks on your link and collect leads from any link you share. Let’s say someone visits your online store. With Shorby, you can do your best 2019 Kim Kardashian impression and come back into their life in the form of a Facebook ad. You’ll also be able to view stats on your links so that you can see which links are being clicked the most and when. Just plug your ad tracking info for Facebook and Google into Shorby, grab the shortened links, and every shortened link click can be used to re-target your visitors in Facebook, Instagram, and Adwords. Even when you’re sharing on Pinterest, or Reddit, or any other social media that just took up your entire afternoon, you can re-target. And if you wish you had more options for your Instagram bio link, it is possible with Shorby. You can get a fancy Instagram bio link with a lot of flexibility. Maybe all you want is to easily connect with your audience on other social platforms and give them a few options to contact you directly, Shorby has got you. You could include additional links for landing pages, flash sales, etc. Just setup Shorby the best way for your business, and add a super-powered link in your Instagram bio. Your Instagram bio only has one shot or one opportunity to seize everything you ever wanted. Currently, over 25 million business profiles are using Shorby to drive traffic every day. Shorby has bloggers, influencers, artists, small businesses, and even my not too techy aunt Leah. Additionally, you can stack up to seven codes to unlock 20 projects. Each code after your second unlocks 3 projects. If you need more than 20 projects, you’ll find more than fair upgrade options in your Shorby dashboard. 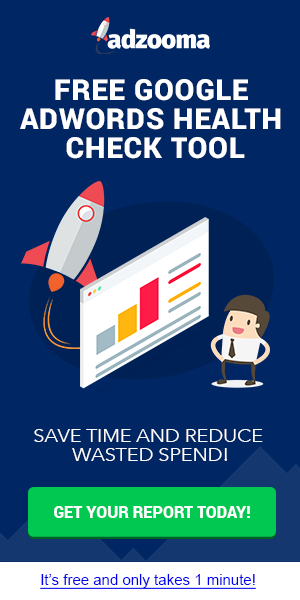 Track all your clicks with pixels so you can get high-quality data for retargeting and online advertising. Shorby is best for Instagram influencers, bloggers, and anyone looking to maximize their IG bio link. It is natural to feel compelled to link to your website so as to drive traffic to your business and hopefully make those sales. 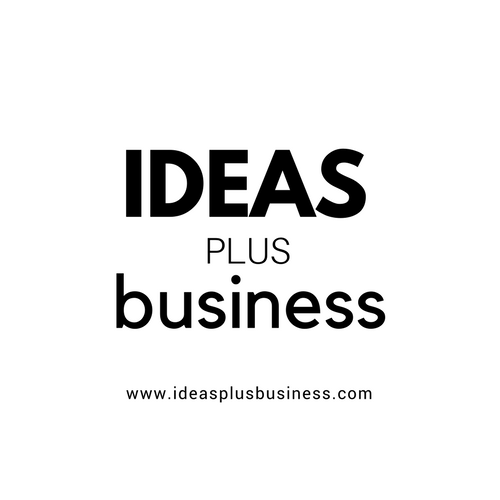 But of course there are a bunch of places online you would like to funnel your audience to have them learn more about your business and connect with you. And that is where the beauty of Shorby comes in. As a direct seller or small business owner, you will be able to direct your audience to not only your website, but your Facebook business page, your VIP customer group, your blog, and other social media accounts that you use for your business. 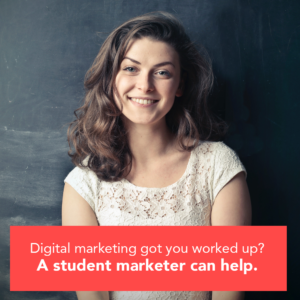 It is even great for linking to your newsletter, your Flash Sale Event, or YouTube videos. Basically, any link you want. Finally, Shorby is practical, inexpensive, professional, saves time, comes with multiple features and use cases. The simplicity of Shorby is what makes it so great for users. You should buy this tool.